Check out Honey Stingers newest addition! 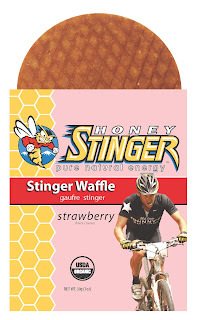 Strawberries and the Honey Stinger Waffle combine to create the perfect snack. It's a wonderful delight for your taste buds! Look for it in stores today. Posted by Cristy at 2:46 p.m.